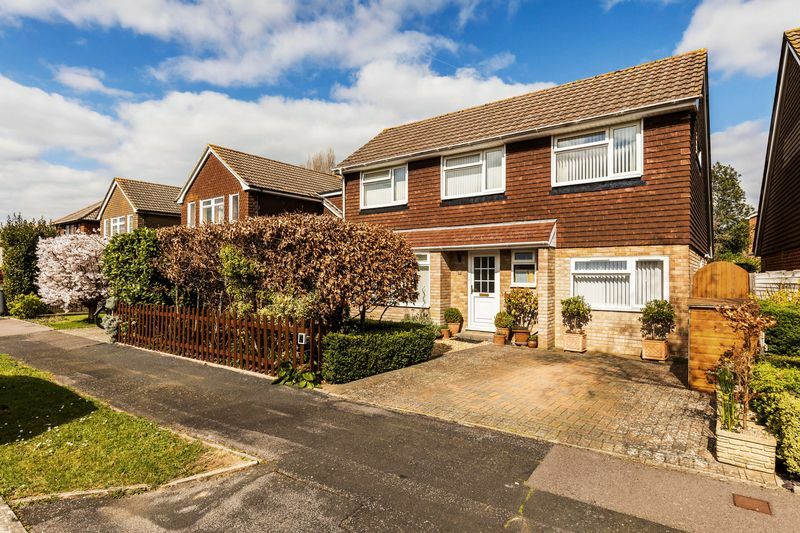 Treagust & Co is delighted to offer this well presented four bedroom detached house benefitting from driveway parking, situated within this favoured cul-de-sac in Denvilles. 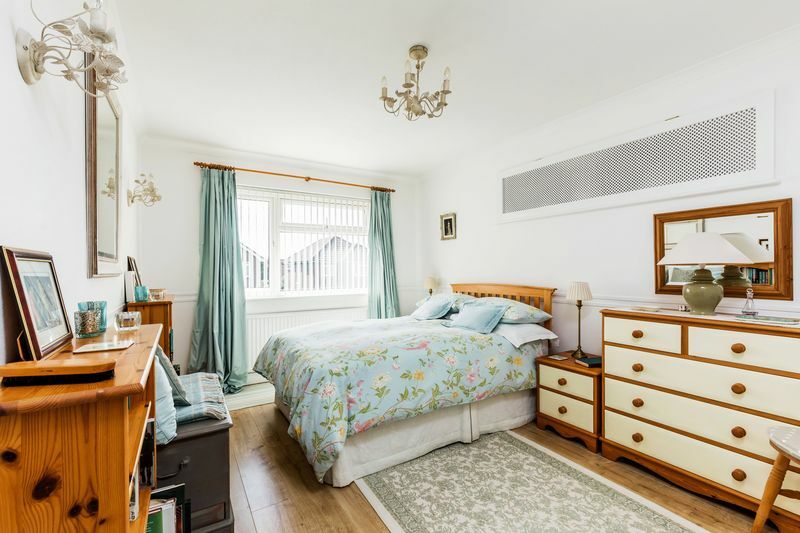 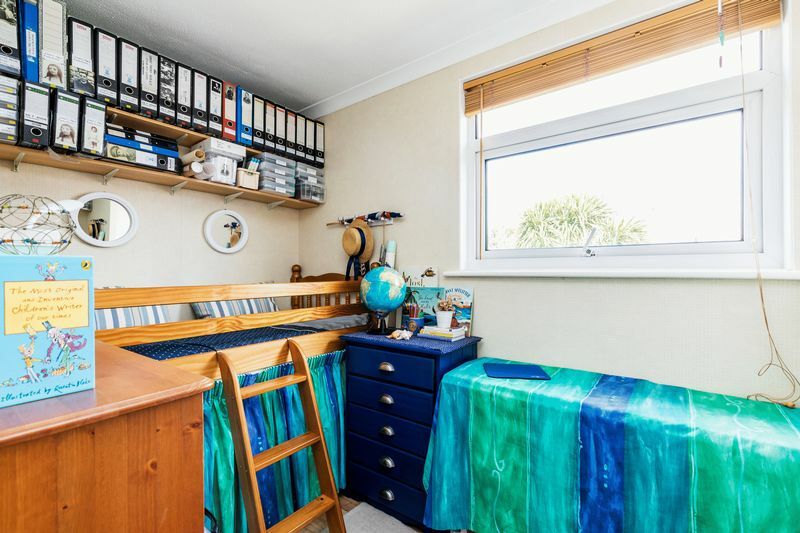 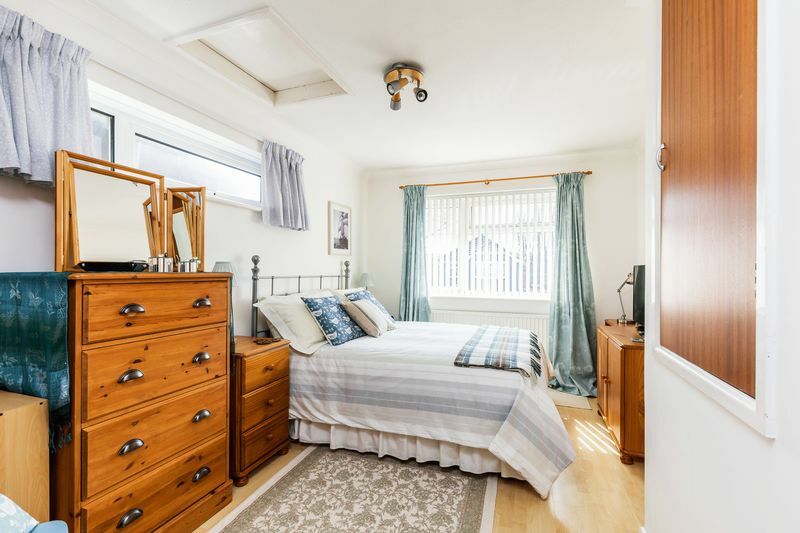 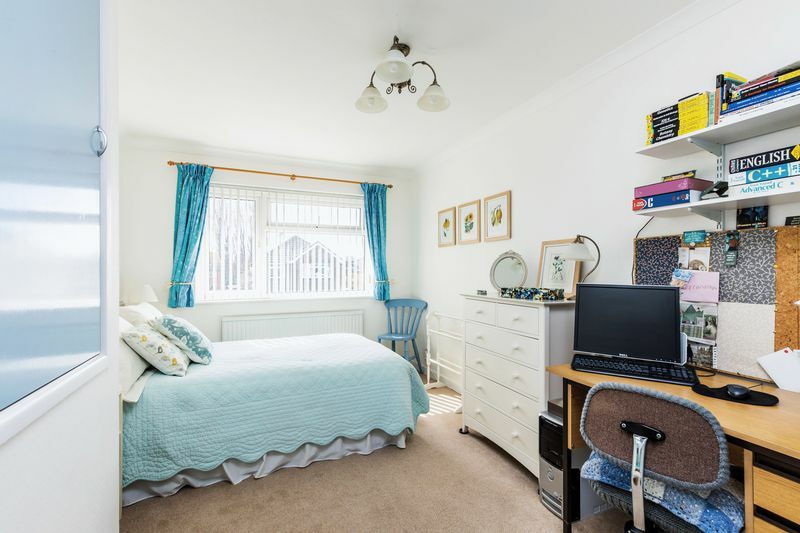 The garage has been converted to provide additional accommodation on the ground floor which is currently used as a study/workroom, and there are four good sized bedrooms on the first floor making this a great long term family home. 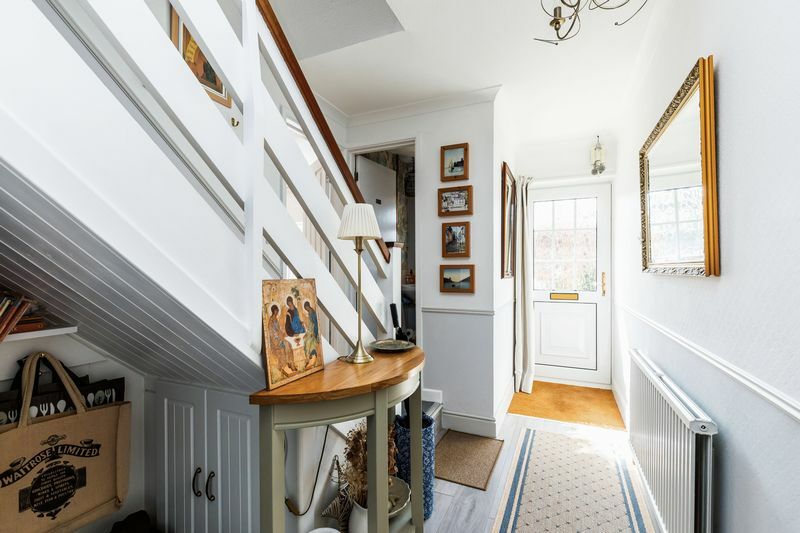 The entrance hallway has a staircase leading to the first floor and a cloakroom with WC. 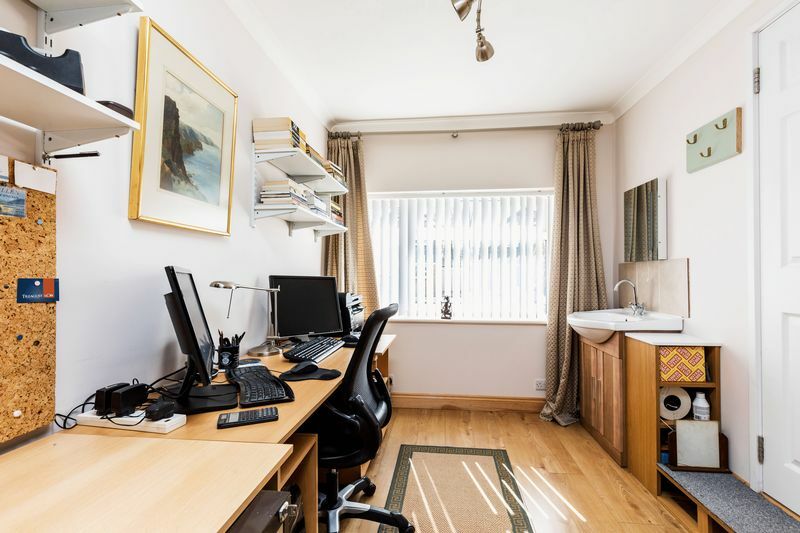 A door leads into the study/workroom with wash hand basin which would be ideal for someone wishing to work from home or to pursue their hobby. 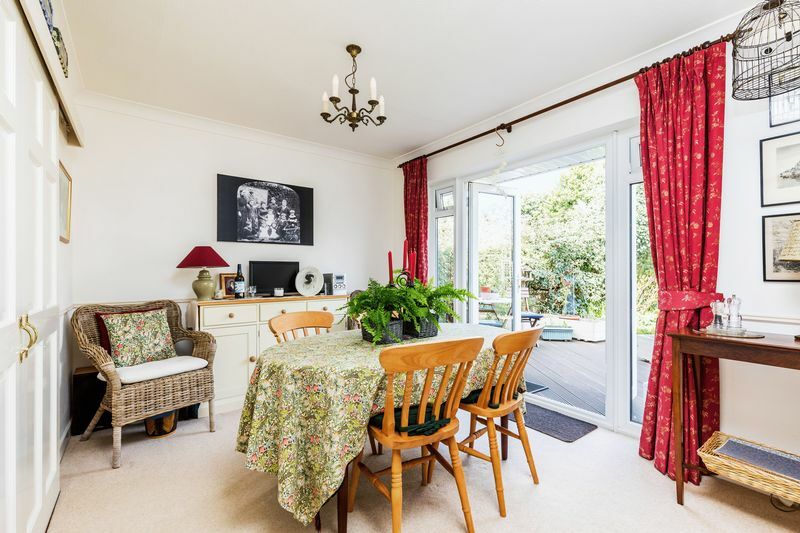 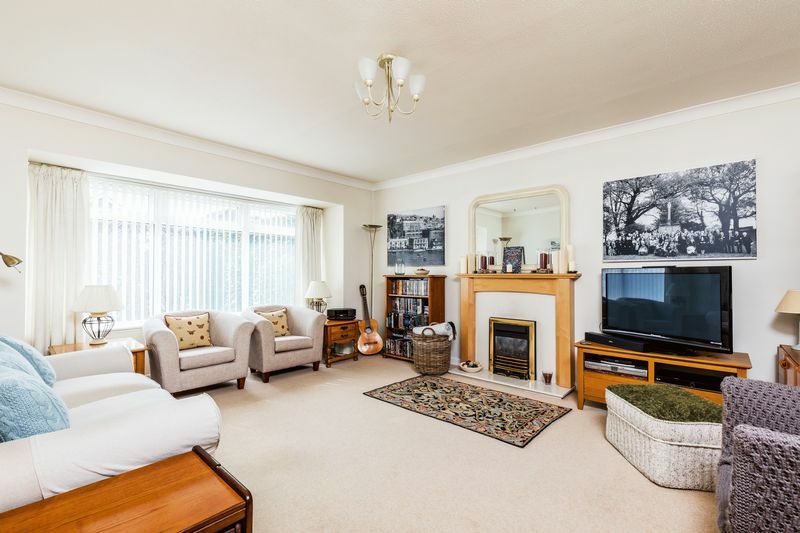 With a double glazed bay window overlooking the front garden, the spacious sitting room has a feature fireplace and sliding doors opening into the separate dining room which has French doors opening out to the rear garden. 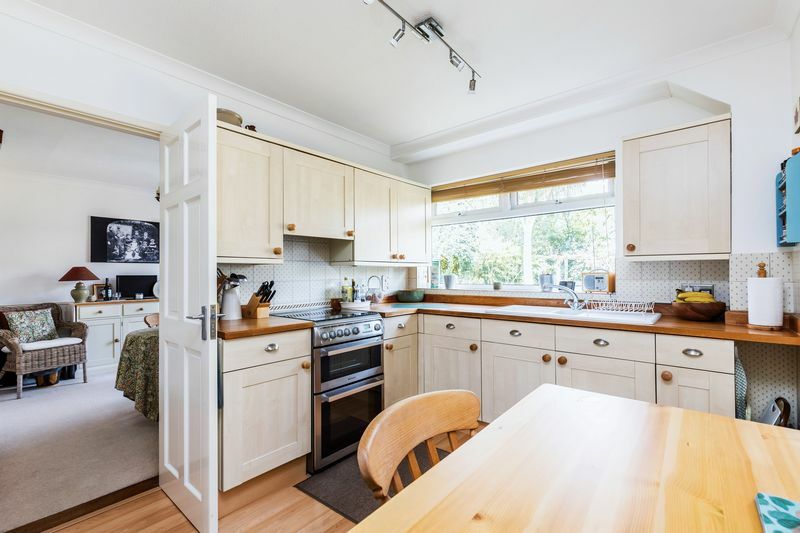 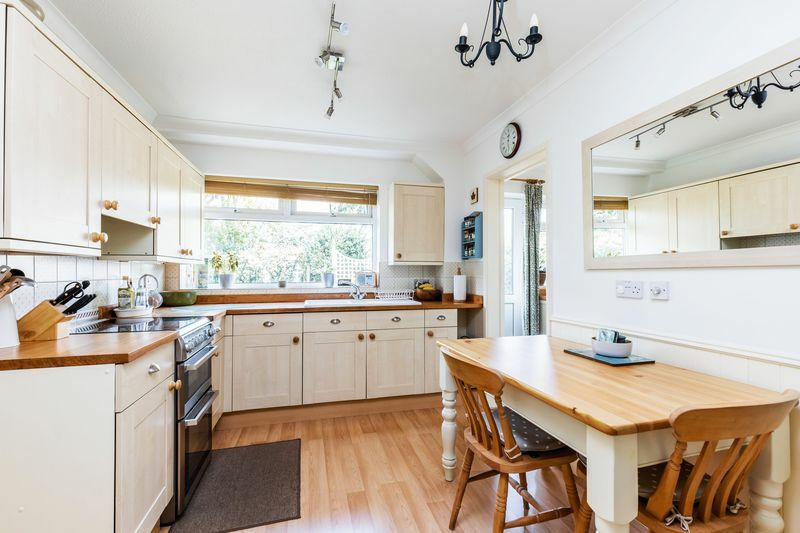 The kitchen/breakfast room is fitted with a range of wall and base units with solid wood work surfaces over, a one and a half bowl sink and a built-in shelving unit. 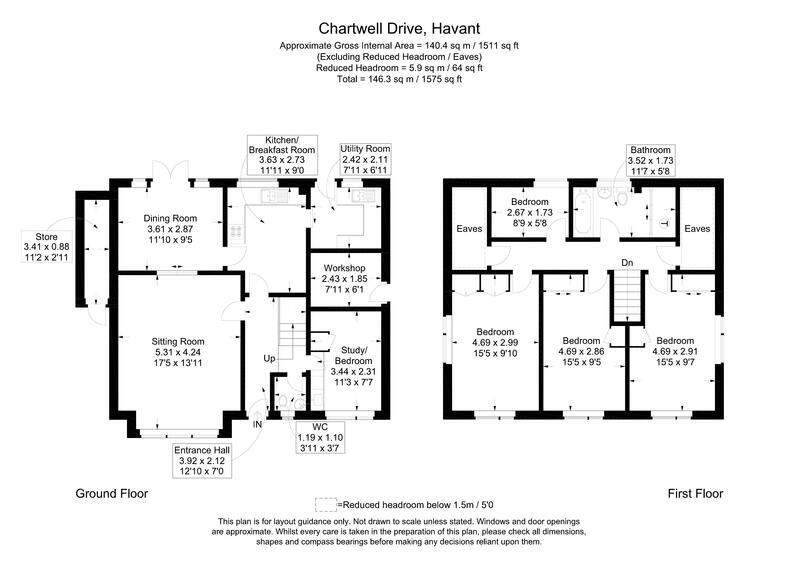 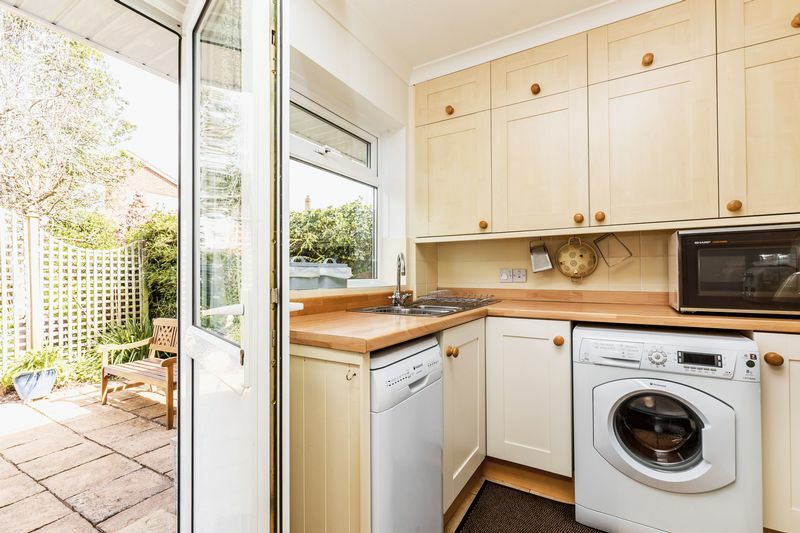 There is planned appliance space and a door to the the utility room which is fitted with additional wall and base units, a one and a half bowl sink unit, plumbing for a washing machine, and door to the rear garden. 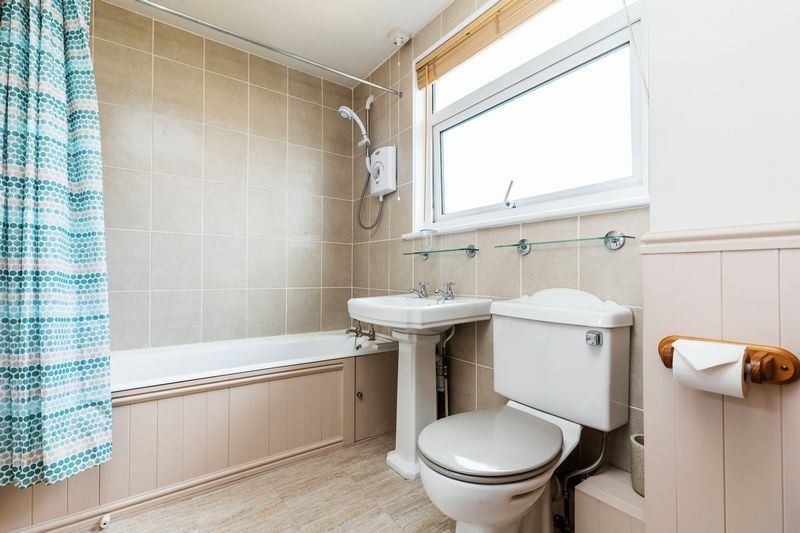 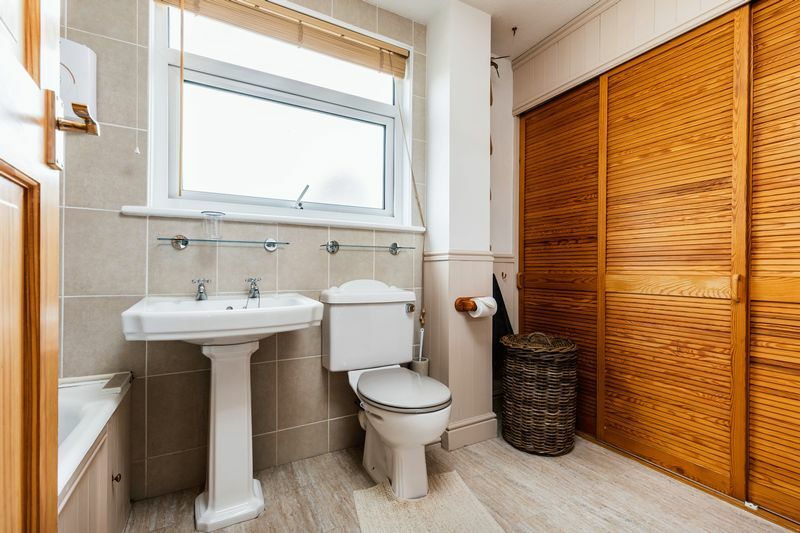 On the first floor there are two useful storage cupboards, four bedrooms (three of which are double bedrooms), and a spacious family bathroom with sliding louvered doors housing the hot water tank with slatted storage space, bath with shower above, and tiled surrounds. 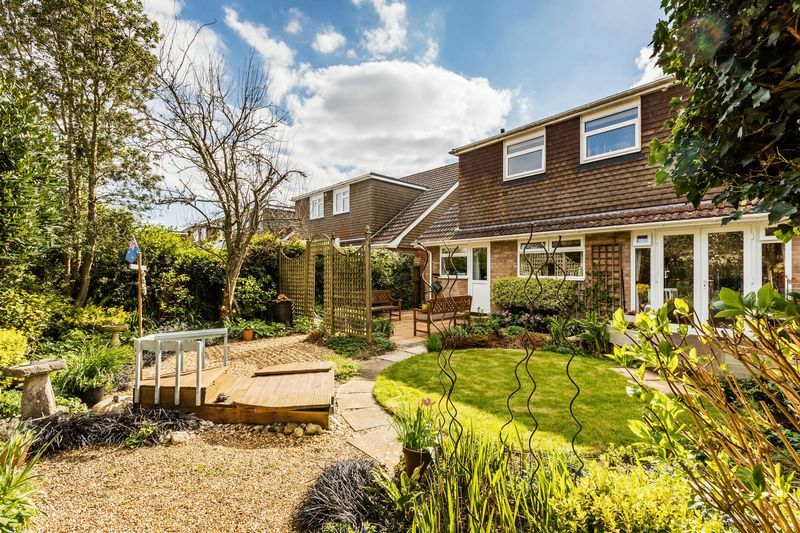 At the front of the property the driveway provides off-road parking space, with the garden area having hedge borders affording a good degree of privacy. 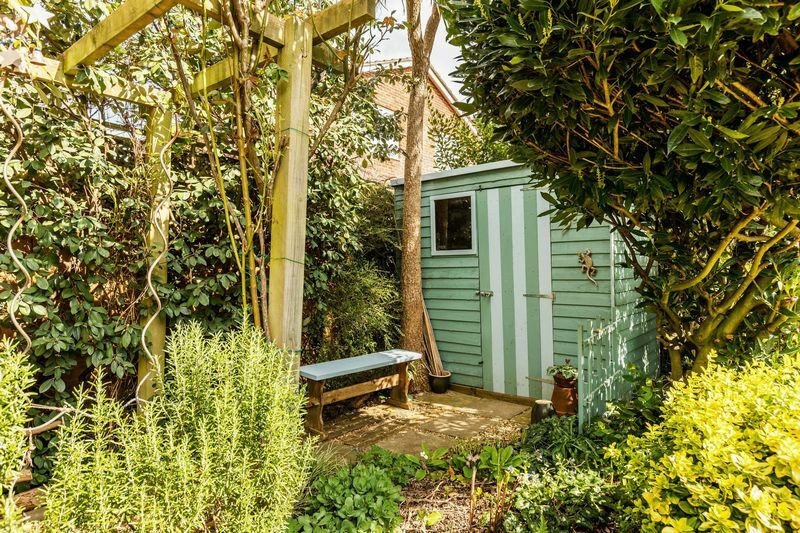 There is a lean-to storage area located to one side of the home, providing storage space for garden tools and bicycles etc. 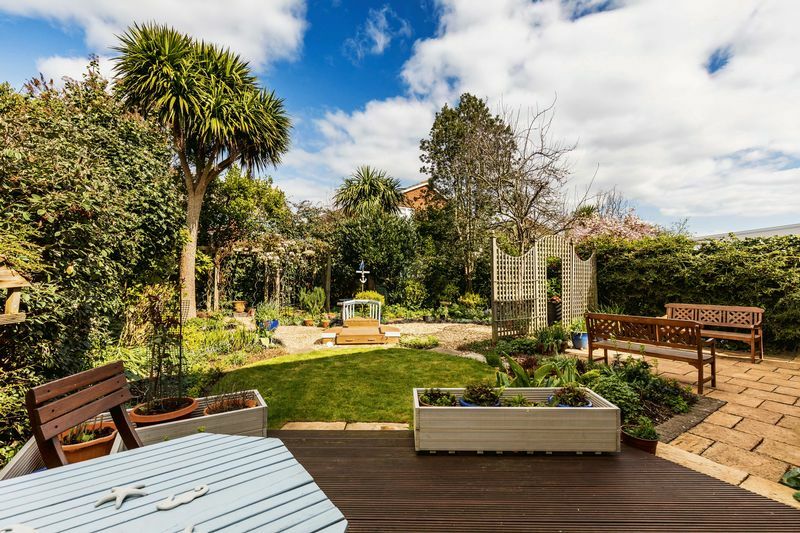 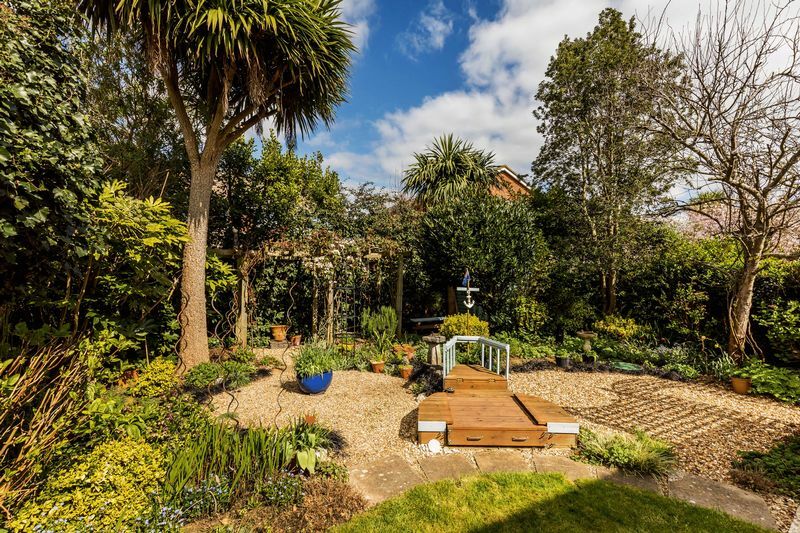 To the other side a pedestrian gate leads to the attractively landscaped rear garden featuring a lawned section, patio area, raised decked seating area and a shingled area, all surrounded by a great variety of mature plants and flowering shrubs. 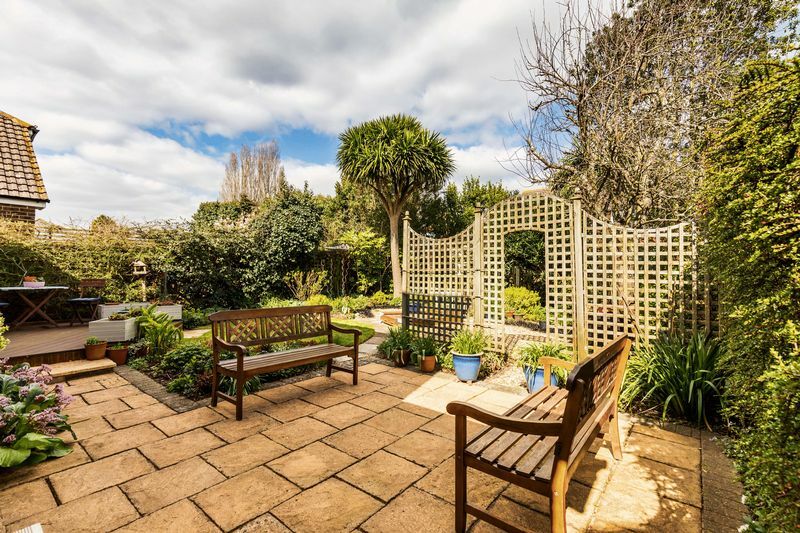 Further features include a Pergola, a timber shed, and water tap.